Year after year, I hover disappointedly over the stovetop, grasping the silver handle and peering into my non-stick saucepan with bewilderment. What is my problem with Easter eggs? Why do they faithfully crack when I boil them? And why am I always shy of vinegar? 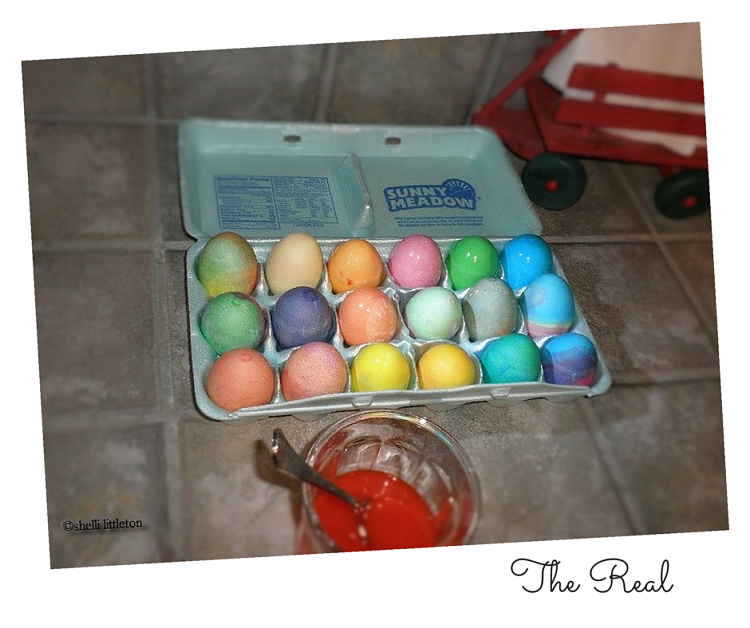 A few days ago, I asked my 15 year old daughter if she wants to color eggs again this year. Just for the fun. I was sort of hoping she’d say no, but with a beautiful smile, she said yes. For old times sake. I think I may have cringed a tiny bit in secret. Because you wouldn’t believe how often I resort to my Betty Crocker cookbook, on simply how to boil the perfect egg. And you wouldn’t believe how many eggs I juggle, trying to manage a crate full of unbroken boiled eggs. All for an unbroken Easter egg hunt. I suppose the water is too hot, and the cracks appear. I’m not entirely sure what I’m doing wrong. 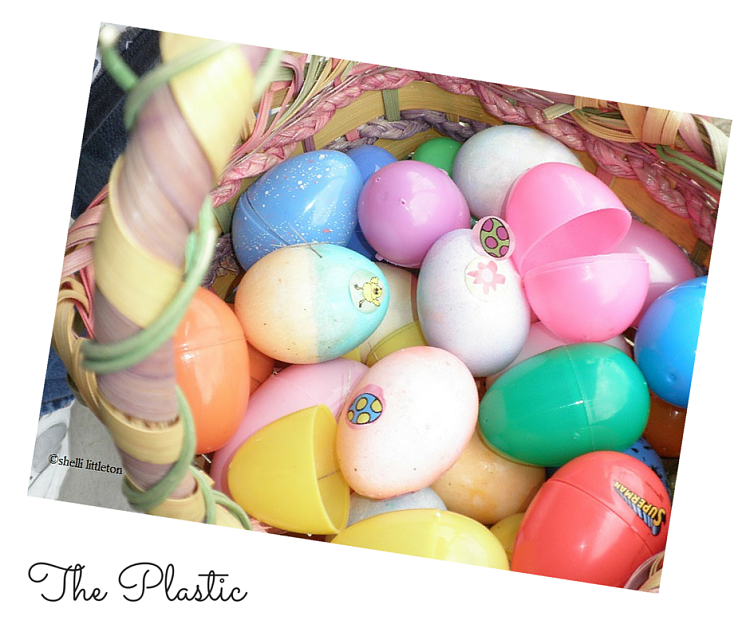 Sometimes I resort to plastic eggs. Mix in a little plastic with the real. And when I finally give up, I realize that even a slightly cracked egg looks pretty with a little color. The fracture lines take on a darker shade, a different hue, giving beautiful diversity to the egg. And like a fingerprint or snowflake, it’s different from all the rest. And add a little sticker to it, and you have something that can be used. Something worth keeping. Something that can be hidden and found. I used to be ashamed of the fractures in my life. I wanted to hide them, hide them from others. I wanted to appear perfect. Add a little plastic to the real, and maybe no one would notice. God refines us intentionally. What good are we if we remain the same? Those fractures are living proof of change and a great source of ministry. They make us unique like a fingerprint or snowflake. The plastic is artificial. But the real is nourishment. Do I wish I could erase some of those life’s fractures? Oh, you bet I do. But choices are choices; and consequences are consequences; and circumstances are circumstances. But those are the very things God can take and make good. Because He promised He would. The broken uses the broken. The fractured uses the fractured. If we simply give up, come out of hiding, to be found. Remove the plastic. To be real. To be used. Shelli, what a beautiful post! For what it's worth, I put my eggs in the water when I first put it on the stovetop. Most of the time, they cook up fine. Sometimes, one cracks and leaks. 🙂 But this is besides the point. I love the beauty that comes when the dye gets into the cracks, highlighting them and making them brilliant. Imperfect, perhaps, but beautiful for the breakage. I'm so glad He can do the same in our lives–make beauty from the cracks. It's when He heals those broken areas in our lives that we are more color-brilliant for Him. Loved this post, as usual. Jeanne, your comment means the world to me. Thank you so much. “We are more color-brilliant for Him” … I love that. Shelli, this is a perfect Easter devotional. I know that I appreciate the scars in His Hands–for without them I would never have been healed of my past. May the LORD use our self-inflicted wounds for His glory. Shelli, I LOVE that you are able to so eloquently explain God's love for us through the most ordinary of circumstances. You have a gift, and I thank you for sharing it with me. Oh, Amber!! Thank you for commenting. Means so much to me. Thank you, too, for the wonderful advice on how to boil the perfect egg! I'm giving it a try. xoxo Love you dearly.